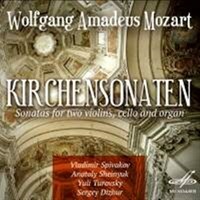 Firma Melodiya presents recordings of chamber music by Wolfgang Amadeus Mozart and Alfred Schnittke performed by the trio led by the outstanding musician Mark Lubotsky. 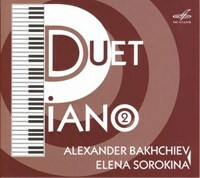 Despite a 200-year gap between them, the music of these composers has much in common. It is the versatility of the genre palette, the combination of daring and bold innovation and the sense of continuity, an acute awareness of the tragedy of earthly existence while maintaining an objective attitude to the art. A deeply personal touch is heard in the chamber music of both composers, the music associated with the tradition of home music making and a leisurely friendly conversation. Mozart’s Divertimento in E-flat major written in the year of the «Three Great Symphonies» (1788) is associated with the name of Michael Puchberg, Mozart’s friend and patron, and also a fellow Freemason. What makes the piece unusual is its six-movement structure and a sad, almost tragic ending while preserving the major sound on the surface. 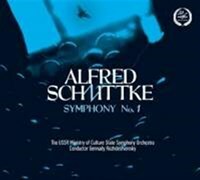 Alfred Schnittke’s String Trio (the composer was a close friend of Mark Lubotsky who was a dedicatee of his three violin sonatas) was written in 1985. This is a tragic confession of the artist, a synthesis of the sharpest sense of modernity and timeless, eternal values of being. 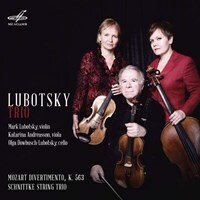 The recordings feature Mark Lubotsky’s long-standing ensemble partners who together have been known as «Lubotsky Trio» since 2003: the famous Swedish violinist, violist and conductor Katarina Andreasson, and the cellist and acknowledged master of modern music performance Olga Dowbusch-Lubotsky. Om du tycker om Lubotsky Trio. 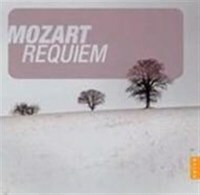 Mozart & Schnittke, berätta det gärna för dina vänner! Du kan snabbt och enkelt dela denna sida direkt på Facebook, Twitter och via e-post här nedanför.